On Wednesday, White House press secretary Sarah Sanders held a White House press briefing in the wake of a horrific school shooting in Kentucky Tuesday which led to two deaths and 18 injuries. The shooter’s motive is still unknown. “Will the president come forward before the nation and tell people how he feels and use the bully pulpit,” he continued before the press secretary interrupted him. How about this instead. “What has the NBC done since October to prevent any of the shootings from taking place?” After all, NBC is in every living room in the country 365 days per year. Its influence is massive. 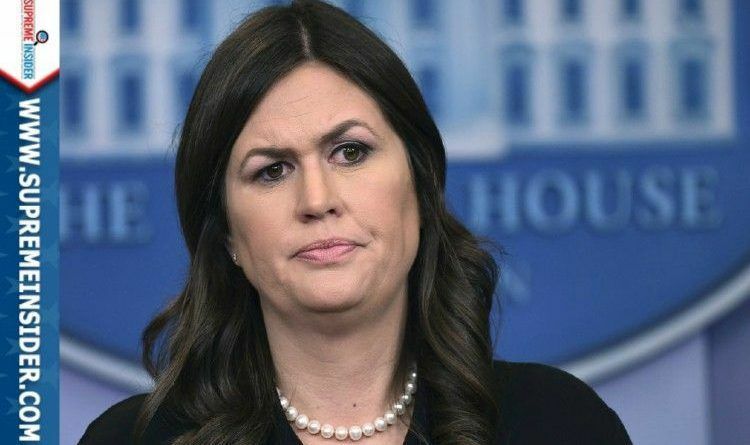 Everyday in every way Sarah has millions of us falling madly in love with her, she loves America, she loves her job and she loves dishing back on the BS reporters of lamestream media… She answered his question, gave him a list of things the President is doing and made it very clear. And he still pretended to not understand. smh. She has great patience with reporters like him. She is the best! Good pick President Trump!